Just as incredible as our full-size Digital Camos – just half the size! 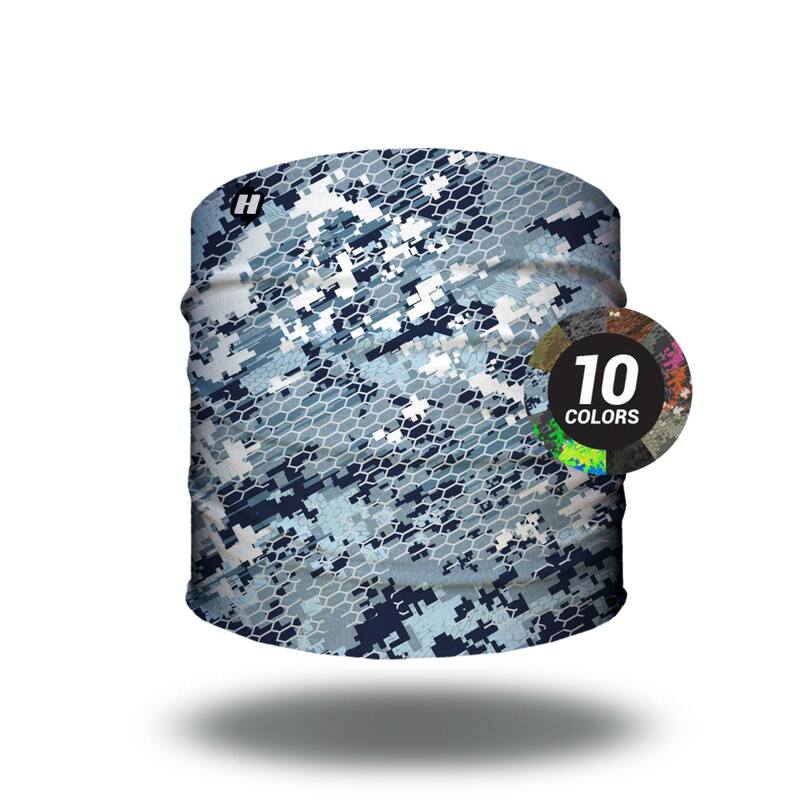 Half Hoo Headbands are great for running, hiking, yoga or any other type of fitness activity you enjoy. Available now in several color options such as blue, orange and even Mahi! I was searching for a headband that was comfortable and didn’t have excess material and found it with this. Great for the gym, running, fishing, etc. Stays in place, looks great and doesn’t give me a headache. I bought this for my daughter who is about to go into the Army. She loves wearing this on her early morning runs. Quality material, workmanship, and super customer service. Hoo-rag will be my new goto company for gifts and personal use. Keep up the great work! My family own one or two each. Love them. Great product! These Half Hoos are perfect for using as a headband. The print and quality of this product is excellent! They are all great , good place to get them . bought many from them and will buy again . Bought it for the dog to wear around his neck and he loved it! Kept the bugs off him and helped keep him cool! By far Hoo-Rag is the best in the industry when it comes to quality,price and customer service no one is better. If it’s the, half or full Hoo you won’t be disappointed. I am a headband JUNKIE and this did not disappoint! I folded it over once to wear as a winter headband over my ears while running and it did not budge! I need more! Awesome color selection. Spending time in the desert …. This thing is amazing for an alternative to wearing military gear for keeping the sand out of your mouth and nose. It’s become an everyday carry and I will by another for sure when the time comes. Also fast shipping even for getting out here overseas thanks Hoo Rag for an awesome product!